I will always love me some Tony Rock! I interviewed him for the first time ever back in January about a new show he was doing on TV One and the conversation was just a great time. Plus, a clip of my interview went viral, which has never happened before. Thanks Tony! If you watch the interview below you will absolutely remember seeing it everywhere earlier this year. Hopefully, Tony will make things go viral again this year with his upcoming hosting gig. According to Deadline, HBO has picked up Russell Simmons’ All Def Comedy stand-up series for a six-episode season that will kick of in December, the network said today. The order comes after HBO aired an All Def Comedy one-off special in November, part of Simmons’ overall first-look deal with the premium cabler. The shows will be taped October 10-11 at the Avalon Theatre in Los Angeles and hosted by Tony Rock. Like Simmons and HBO’s original Def Comedy Jam, the series will feature stand-up performances spotlighting up-and-coming comics discovered at All Def Digital’s live weekly comedy showcase and online video platform. All Def Comedy also will be available on HBO Now, HBO Go, HBO On Demand and affiliate portals. Simmons and Stan Lathan are producing with Chris Conti and Jeru Tillman. Lathan is directing. “I have witnessed firsthand how the most cutting-edge, seemingly alternative comics become the driving forces in mainstream comedy,” Simmons said. “I’m thankful to HBO for allowing me to give these new voices access to mainstream audiences everywhere.” Earlier this month, Simmons revealed he was looking to restart his Def Poetry Jam franchise with HBO as All Def Poetry and was talking with Grammy winner Chance the Rapper to host the potential series. Russell Simmons never stops and I just love him for it. I remember watching Def Comedy Jam back in the day so that fact that it's still around in some form is an ode to Russell's genius. Check out my interview with host, Tony Rock below. 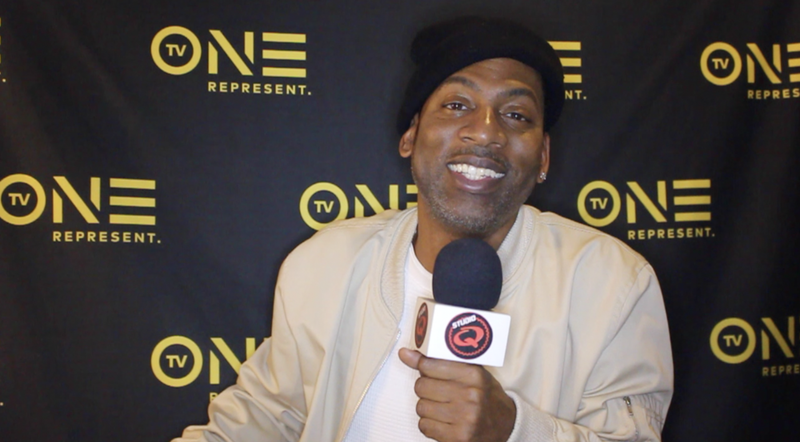 I interviewed Tony Rock about his new show "The Game of Dating" which features couples on a real-life date while teams watch, react and compete to win cash prizes. The one-hour series premieres on Tuesday, January 31, 2017, at 8 p.m. ET/7 p.m. CT. Check out what Tony Rock feels is the biggest mistake people make in dating. Watch below. I interviewed Tony Rock recently and asked him what advice he would give his younger self about the world of comedy. Press play and find out his answer, It may just serve as some Monday motivation for yourself. Watch below.